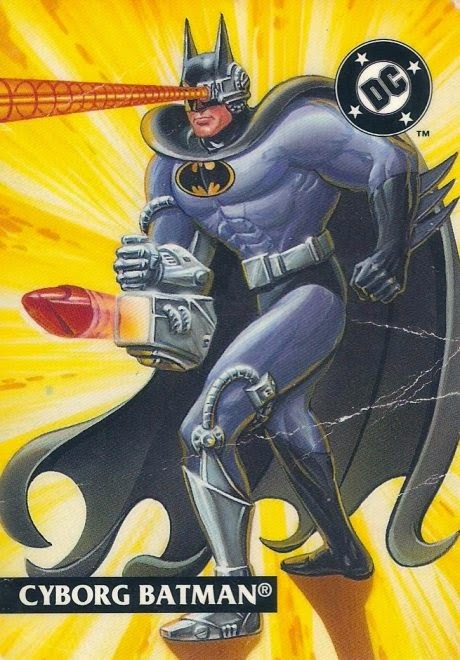 This post is a quick shout-out for a friend who has created a new blog called THE EMPEROR DINOBOT’S BATMEN which is basically a Batman Action Figure Toy Archive. His goal is to to review every Batman figure from the 90’s and beyond. He has a massive collection of mostly loose and complete figures from those days. In fact, he probably has more than 500 individual figures that need to be photographed. His goal is to do at least three per day. So, to check it out just CLICK HERE! 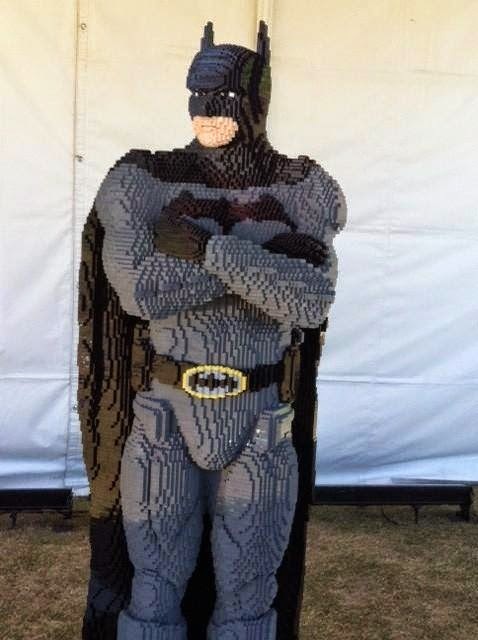 AMAZING #BATMAN LEGO ART Life-Size Statues! 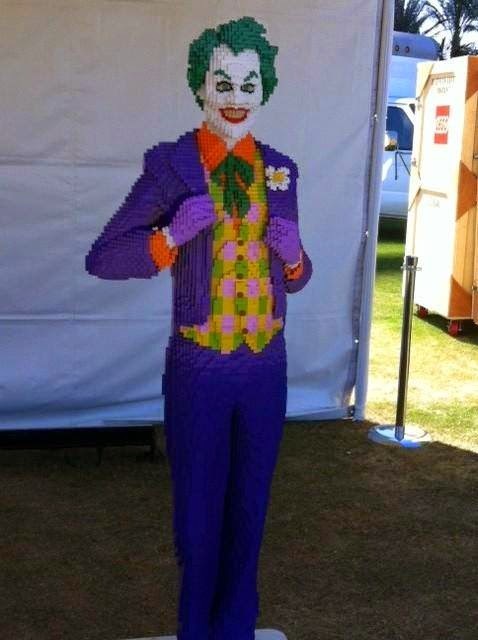 Check out this amazing set of Life-Size BATMAN LEGO ART Sculptures that represent Batman, Robin, and the Joker! Now, because I’m an Idiot I forgot to write down who sent me these pics AND where this event was. I think it was in Canada?? Sorry Dude, I always try to thank people personally & also give credit. It’s just that I checked my email at 3:00 in the morning and was too tired (or lazy maybe?) to write the info down. But, I deeply appreciate you sending the pics and these sculptures are GREAT! COOL #BATMAN STUFF Spotted in Dubai and Brazil!! Here are 2 fun pics from some wonderful friends who live overseas. 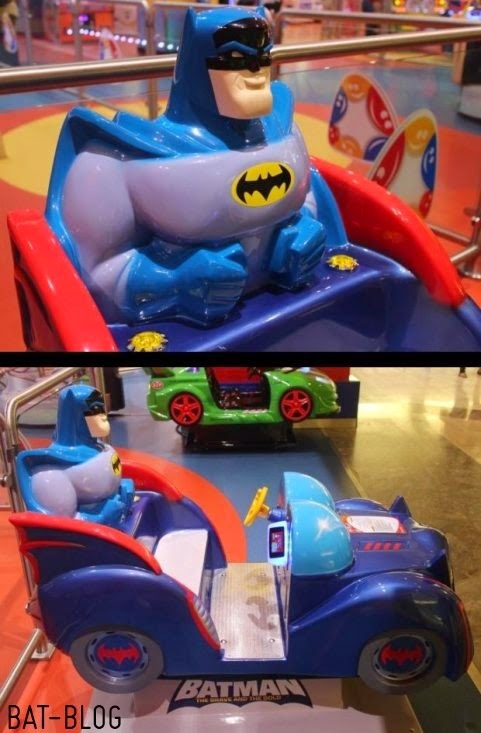 The first one is a BATMAN: THE BRAVE AND THE BOLD Vending Machine Ride that was spotted in the Abu Dhabi Shopping Mall that is located in Dubai. 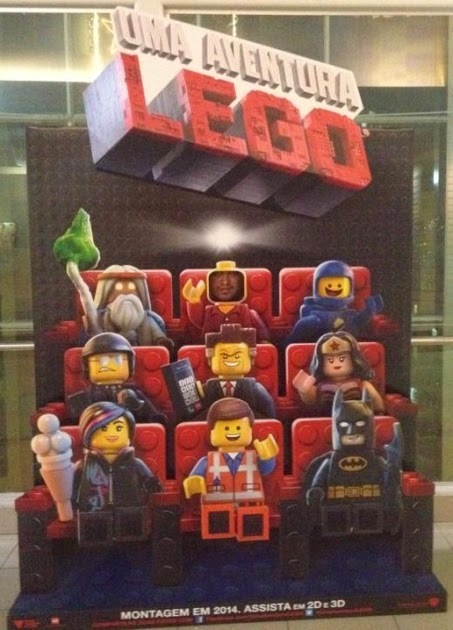 Then, our good friend Marcio came across this huge Promotional Display for THE LEGO MOVIE and it was found in Brazil. 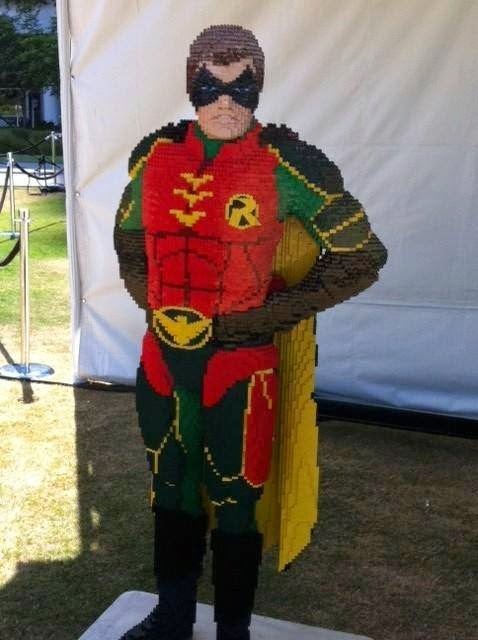 You can see him peeking through a hole they made so you can take your picture as if YOU are a Lego Toy. He’s in the top-center one, ha ha! Thanks Guys!!! The Toy and Action Figure Museum ( located in Pauls Valley, Oklahoma ) made this video that I knew I had to share because it’s pretty funny! The basic premise is that BATMAN Takes The ALS Ice Bucket Challenge, ha! To get info on the Toy and Action Figure Museum just CLICK HERE! To make a donation to the ALS Charity Organization, just visit their website, CLICK HERE! Buy your new RC Plane here: http://ashop.creativesolutionsmall.com/home.html Philippines – May 2011. RC transmitter mode1, mode 2, mode 3 and mode 4 explained Visit http://www.midnightsunrc.com for more RC hobby related stuff. Funko has debuted its latest Hikari mold, the Stay Puft Marshmallow Man (Ghostbusters), with a “Burnt” deco reminiscent of the character’s fate in the first film… and many of the video games. The mold itself is a mix of cute and creepy. I love the body work, but that face really weird me out. Maybe if the eyes weren’t looking down I wouldn’t be tempted to turn the thing around so it’s not looking at me but, I suppose, the original character was intended to creepy so it fits the general vibe. The choice of deco is somewhat intuitive since it gives Funko some flexibility while achieving an iconic look. The glossy metallic blue used for the bib (?) and part of the hat also looks great. Funko’s “Burnt” Stay Puft Hikari can be pre-ordered for US$80 and is slated for a November release. As always, you can also win one by entering Funko’s Facebook contest. Capo Toys, the would-be creator of a Street Fighter action figure line, has made a second attempt at crowdfunding their line after the original kickstarter campaign failed miserably (obtaining only US$8,079 of.its overly ambitious US$85,000 goal). The new campaign offers up more of the line (instead of just Ryu) and is already at US$12,000+ in contributions although it still seems on track for failure given its ludicrous US$550,000 target. As for why the company needs funding in the first place, there was apparently a dispute among the partners where the group allegedly tried to cut out the company’s artist/co-founder, campaign creator Rocco Tartamel (who declined to return our emails). To Tartamel’s credit, the packages are somewhat more enticing because you can select the specific characters you’re interested in rather than just buying a Ryu and hoping that your support will eventually help the others to appear. To Tartamel’s discredit, the goals for these campaigns seem almost completely out of touch with some other companies’ offerings. The Four Horsemen’s Gothitropolis Kickstarter, for instance, closed with over US$300,000 in pledges for the series *but* the company’s target was only US$65,000. Granted, the Gothitropolis stuff shared parts but, even comparing that to the original Ryu-only campaign, it came in twenty grand cheaper on the target. I’m assuming that at least part of the expense is tied into the fact that Tartamel doesn’t have the Horsemen’s existing infrastructure but something seems a bit off here. I still wish Tartamel all the luck in the world and I’m strongly considering putting in a pledge for a Sagat, but I just can’t see this thing getting funded. It’s certainly not a bad line (it even features fabric clothing for added poseability! ), it’s just that the targets don’t seem realistic.